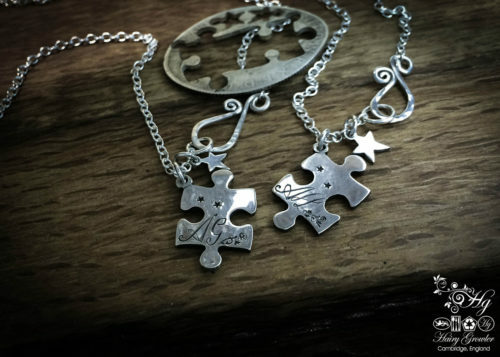 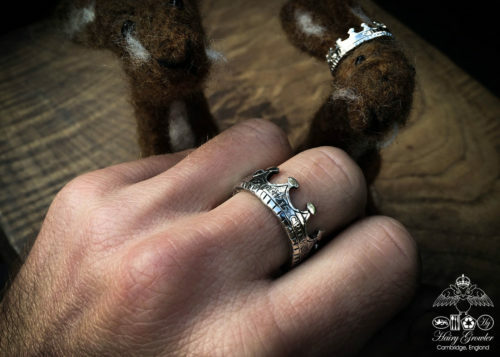 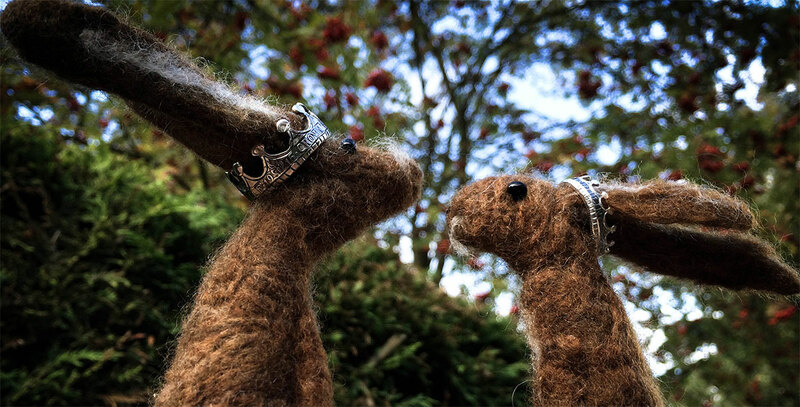 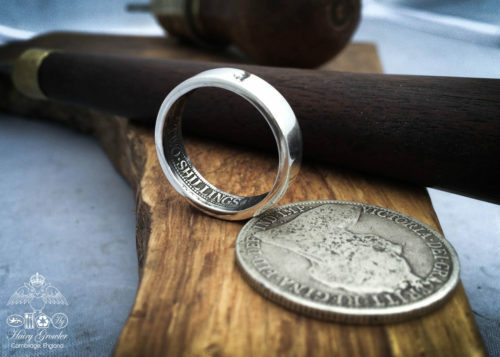 “Wedding rings for extraordinary lucky people who have found the connection to the good love” – The Growler. 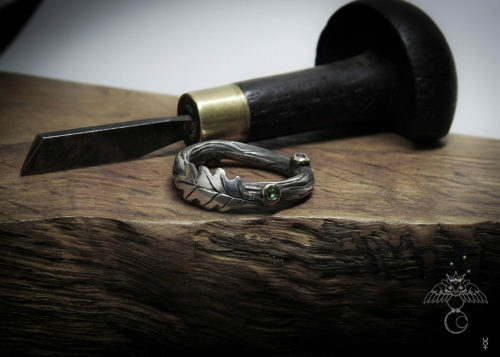 Recycled wedding rings are a passion of mine. 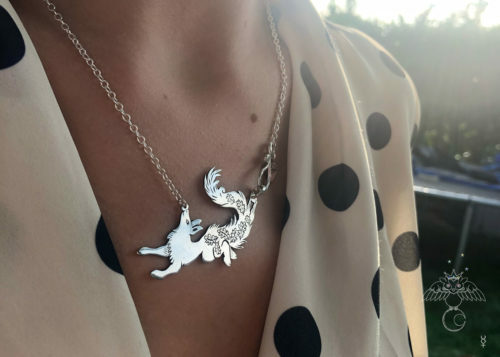 I guess i’m lucky! 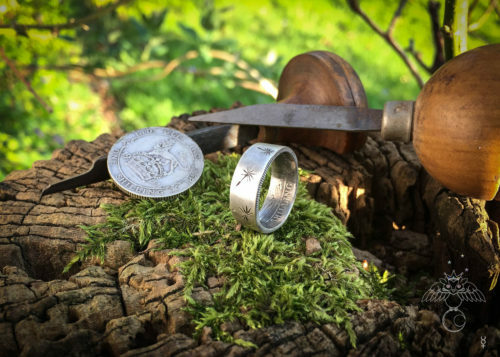 The rings I make in the Hairy Growler workshop are individually handcrafted and importantly only made from 100% recycled raw materials. 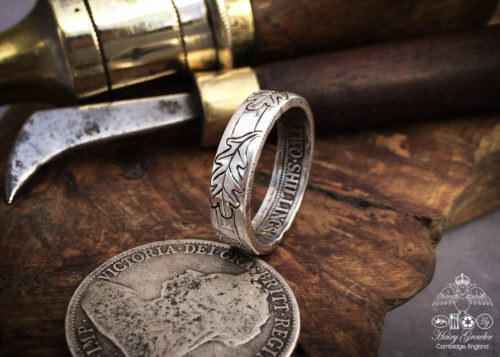 The gold sovereign coins of the Victorian era make beautiful 22ct gold rings. 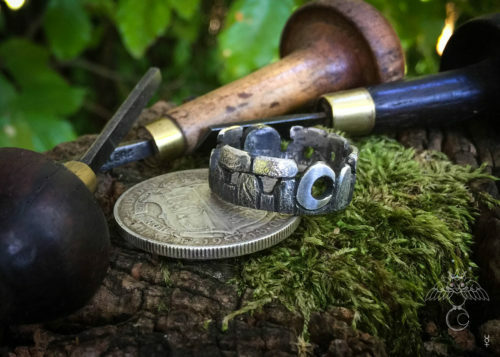 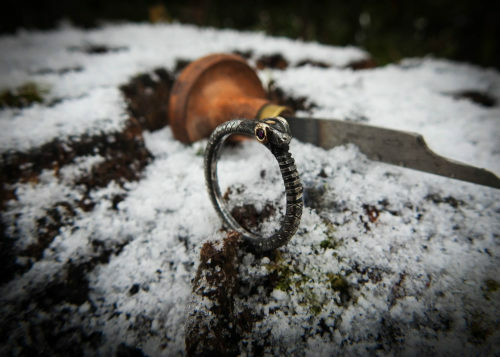 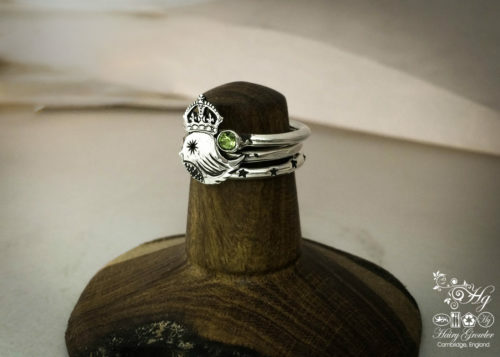 The way in which i create the rings is traditional, using age old techniques and hand tools. 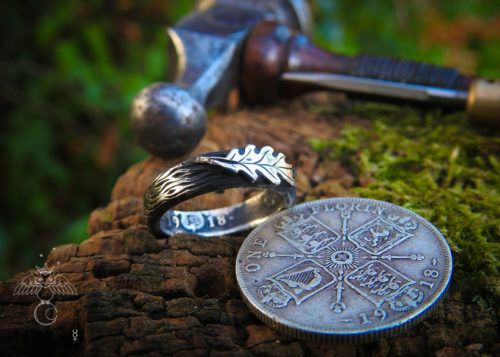 This means the coin rings have no join. 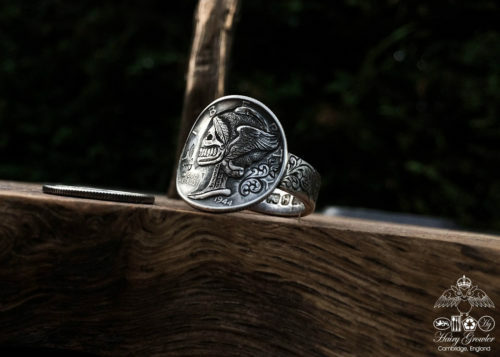 They are an ‘unbroken circle’ symbolic of the connection you have made with each other. 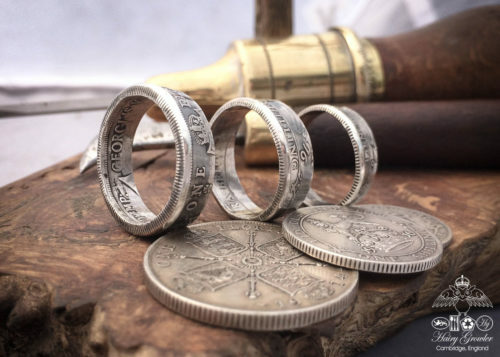 This is the same process I use for the silver coin rings. 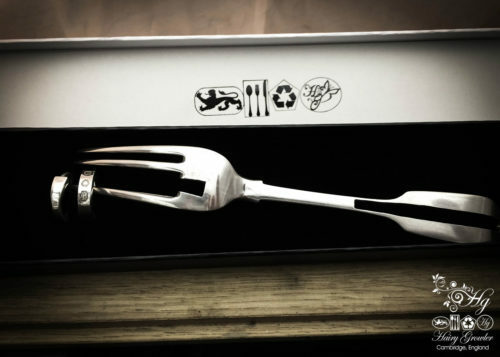 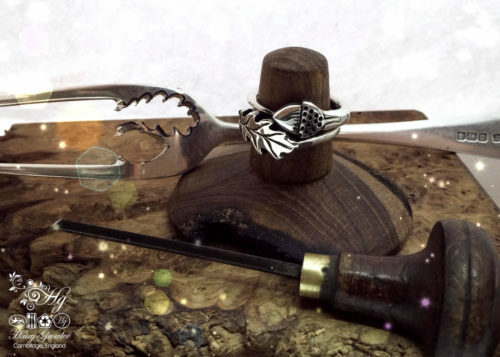 Alternatively the ‘share a fork’ concept is lovely and one antique sterling silver fork provides a wonderful ethical starting point for a pair of wedding bands. 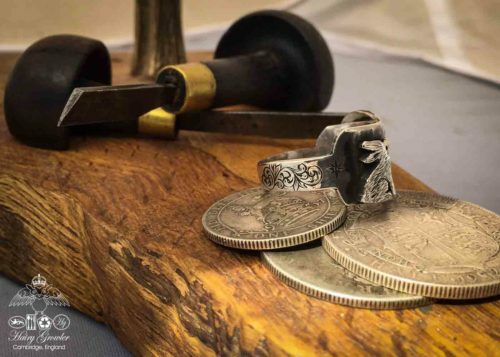 Unusual, unique and original wedding bands. 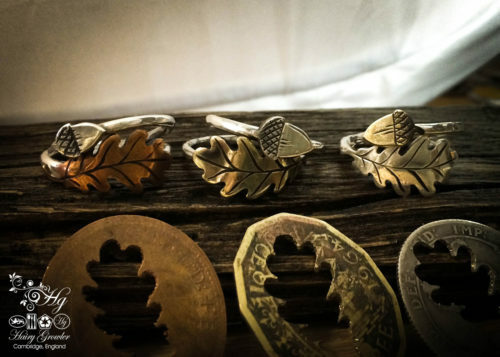 Silver Oak Leaf coin ring. 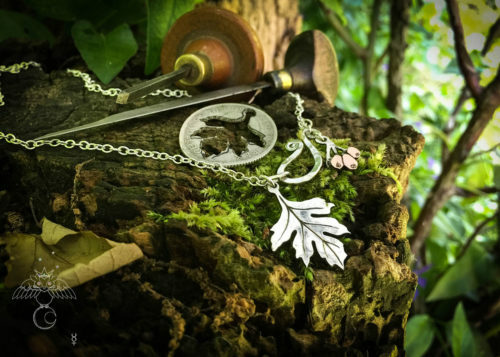 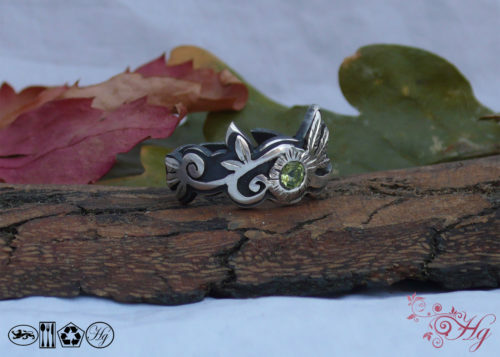 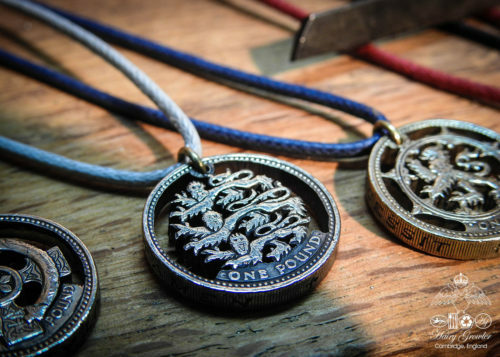 Oak tree branch and leaf silver coin.